The Federal Highway Administration is taking applications from states interested in collecting tolls at interstate facilities, according to a document published in the Federal Register on Oct. 20. Under the Interstate System Reconstruction and Rehabilitation Pilot Program, FHWA will permit up to three states to collect tolls on a facility on the Interstate Highway System. These tolls will be used to restore corridors that “could not otherwise be adequately maintained or functionally improved without the collection of tolls,” according to FHWA. Applications for the program are due Feb. 20. While up to three facilities may participate in the program, each must be in a different state. ISRRPP was authorized by the Transportation Equity Act for the 21st Century, a law enacted in 1998 that established federal surface transportation programs for highways. Since the program’s inception, several states have received “provisional approval” of pilot projects. However, no state has fully satisfied ISRRPP criteria for their specific project, according to FHWA. The Fixing America’s Surface Transportation Act of 2015 ruled that states with provisional approval have three years from the date of the approval to satisfy program criteria, such as completing an environmental review under the National Environmental Policy Act and finalizing a toll agreement with FHWA. Provisional approvals serve as a “program slot,” allowing states to fulfill program criteria without fear of being displaced by another applicant. Tolling is an important issue for the trucking industry. Rhode Island Gov. Gina Raimondo’s RhodeWorks infrastructure program, introduced in 2016, includes, a trucks-only tolling system projected to generate $4.7 billion to finance projects. According to the Rhode Island Department of Transportation, the state ranks last in the nation in overall bridge condition, with about 22% of Rhode Island’s 1,162 bridges classified structurally deficient. The prospect of a trucks-only toll has sparked the ire of the Rhode Island Trucking Association, whose president, Chris Maxwell, has been a staunch opponent of the program. 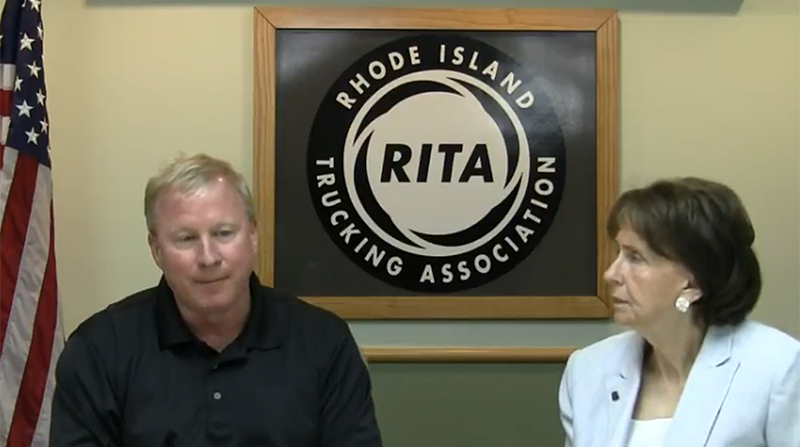 American Trucking Associations has supported RITA in its opposition to the RhodeWorks toll.